Tea parties, dance parties, pizza parties, birthday parties...there's a perfect party for everyone! With a mix of food, entertainment, music, decorations, and celebration, it's hard to go wrong. 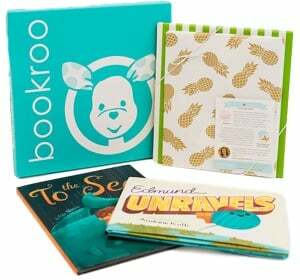 Whether your kiddo already knows they love any type of party, or if your little one usually has to be bribed to attend, these books are sure to show how fun parties can be (or at least show that there's usually cake and balloons)! We recommend having a read-a-thon party with your favorite snacks, pjs, and blanketsto enjoy these party-themed books! That would make for a pretty fantastic time, don't you agree? Beautiful illustrations and a cute story which tells of how to cost a polite tea party. The illustrations show that everything doesn't always go as planned when a T-Rex has been invited. The illustrations in this story are a 7, but the story just isn't quite there. Panda wants to have a party, but the guest list gets a little confusing! He learns about mammals, reptiles, and more as he tries to prepare for the perfect party. I love the illustrations in this book, and I like that it has some educational value about the animals while being very fun! Xander's plan to host a panda party falls through, since he is the only panda at the zoo, but when he extends the invitation to all the bears, complications ensue. Includes an author's note about the international effort to save pandas from extinction. 40,000 first printing. Who hasn't agonized over the perfect gift for a friend? Poor squirrel wants to find the absolute perfect gift for his friend bear. The animal characters are charming, the pacing is perfect. Ben Mantel is spot-on describing bear's opening of gifts and that anxious moment when bear opens squirrel's gift and hasn't commented. It is a wonderful thing to know a friend so well that you really can choose "The Best Birthday Present Ever!" It might even be that the real gift is friendship. As increasingly ridiculous and ludicrous situations unfold based on one seemingly innocuous directive in a party invitation (You must bring a hat!) the story gets increasingly humorous and enjoyable. Good illustrations and fun premise! “You are cordially invited to the BIGGEST, BESTEST, HATTIEST party of all time!” Come join the fun—but only if you have a hat. AND you know the entry rules. Unfortunately, there seems to be a surprising number of those, as a young boy discovers. Will he—and the cool collection of animals he befriends along the way—ever get in? Gloriously illustrated, the art contains loads of details that serve as clues to the satisfying surprise ending. Kids will read this thoroughly hilarious cumulative picture book again and again! If you give a pig a party,she's going to ask for someballoons. When you give her the balloons, she'll want to decorate the house. When she's finished, she'll put on her favorite dress. Then she'll call all her friends -- Mouse, Moose, and more. The little pig from If You Give a Pig a Pancake is back, and this time she wants to throw a great big party! Laura Numeroff and Felicia Bond have created another winning story for this beloved character in the tradition of the best-selling If You Give a Mouse a Cookie. Ay, a pirates' life is dangerous n' dirty life! But when this motley crew gets an invitation to a little girl's birthday party, they're simply delighted. What could be better than cake? Just as they're about to walk the plank, their pirate-y parrot tells them—as only a parrot or a mother could—that they need to clean up their act. With a scrub-a-dub-dub, brand new clothes, and a doll for the birthday girl, the 'pirates' show up sparkling and clean. But they're in for a big surprise. What the birthday girl wants most of all are real pirates—black feet, messy hair, stinky clothes and all. Illus. in full color. Little girls will be inspired to have tea parties with this guide to the art of the tea party. Brimming with simple menus, kid-pleasing recipes, and lovely decoration and favor ideas, each party has a theme--from valentine and teddy-bear teas to rainy-day and garden teas. Georgie the cat loves to throw parties but this time, not one of his friends can come.